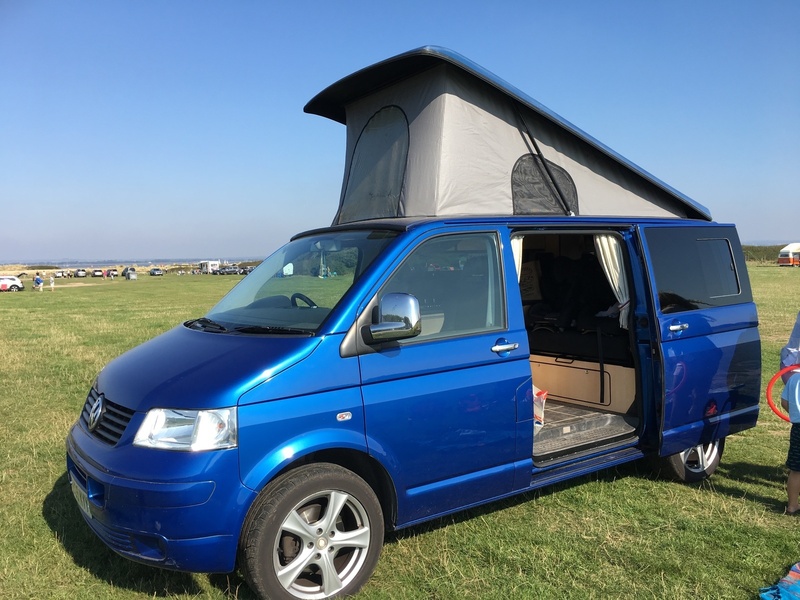 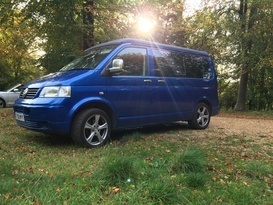 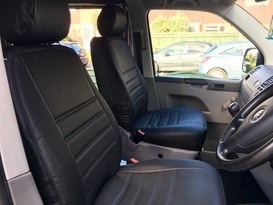 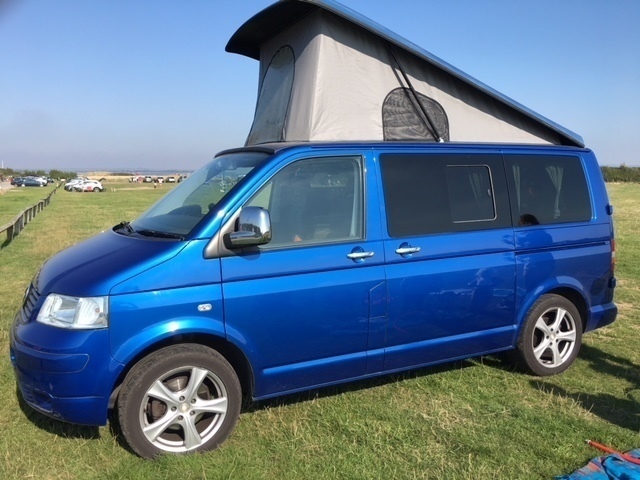 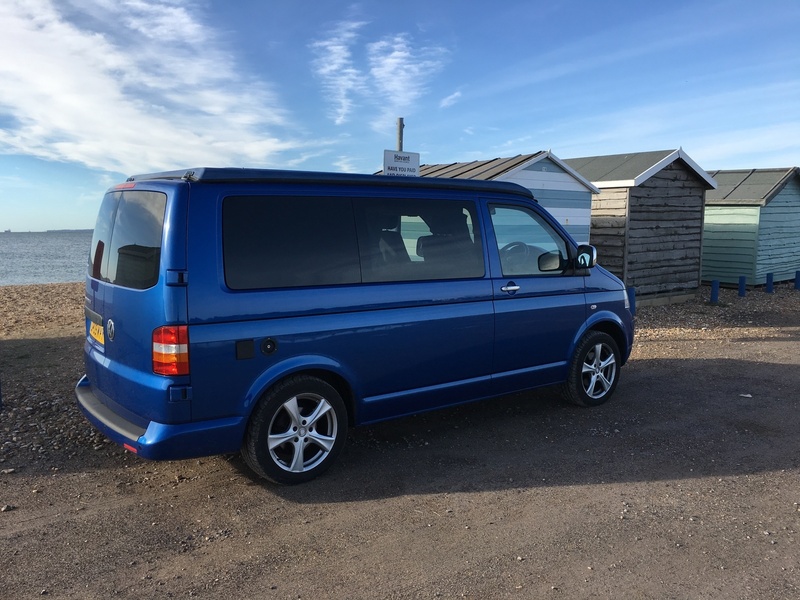 Billy is our stunning raven Blue T5 campervan. Our 4 berth camper has everything you need for a fantastic camping trip away. Based in Petersfield in Hampshire it is the perfect base to head to the south coast, new forest, Dorset, or trip to the west country. 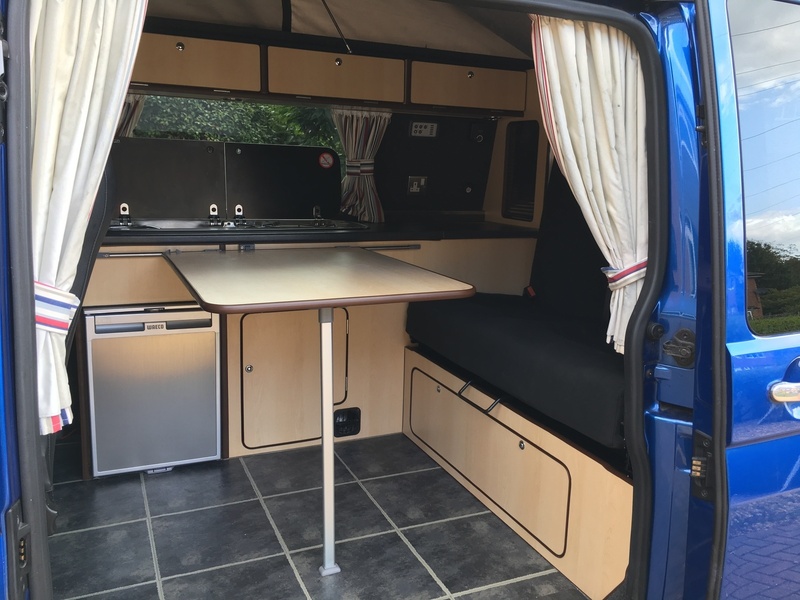 Billy was converted to a camper van in 2012 and has since enjoyed camping trips across the uk and France. 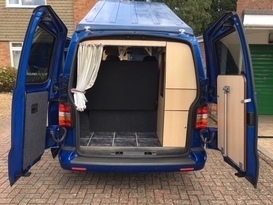 Billy can carry 4 passengers and comfortably sleep 4. We also have a drive away awning available at additional cost which can also sleep 2. 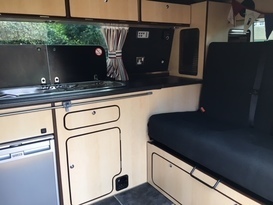 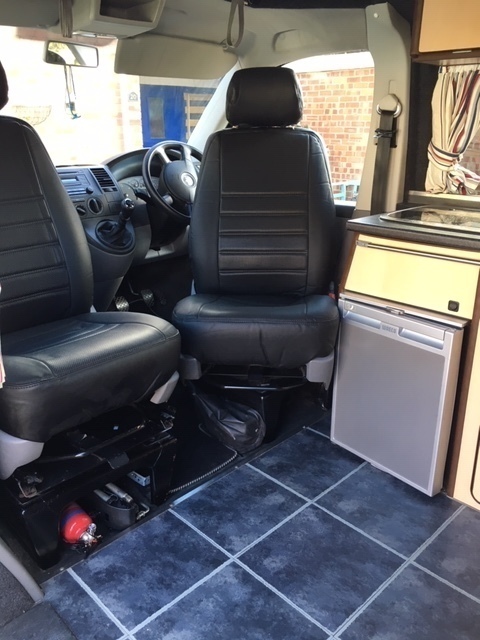 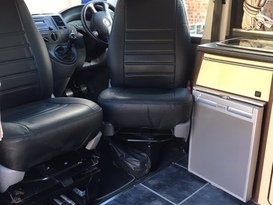 Billy comes with a smev hob and sink, waeco fridge, gas thermostatic heater, twin front seats that can be swivelled to face the rear, detachable table for dining in the cab, 2 crash tested seat belts in the rear, seat converts into a 3/4 width double bed, Pop top roof with 2 berth bunk, curtains throughout for privacy, cab insulation and blackout silver screens, under bed storage, overhead storage, fire extinguisher, fire blanket, leisure battery with power management system, electric hook up, 4 chairs and a table for eating outside or in the awning, plus cutlery, pots and pans and a range of utensils. 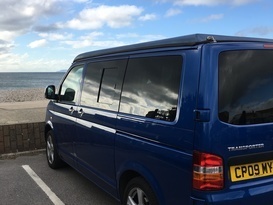 Strictly no smoking in or around the van or awning. 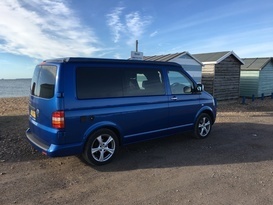 Van must be returned with a full tank of Diesel. Well behaved dogs are allowed at an additional cost of £25 per hire. 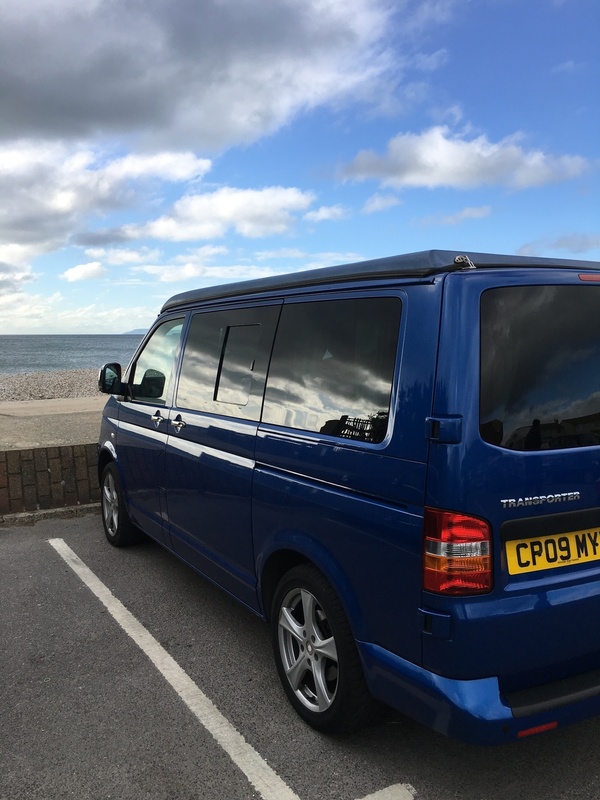 Our family loves being outdoors and particularly love being by the sea. If we cant go in the sea to surf or go paddle boarding then we like nothing better than taking the dog for a walk by the sea, then heading back to the van for bacon sandwiches and a cuppa.